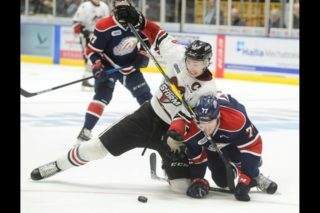 The Guelph Storm take on the Saginaw Spirit on a rare Wednesday night game at the Sleeman Centre, puck drops at 7:00pm. 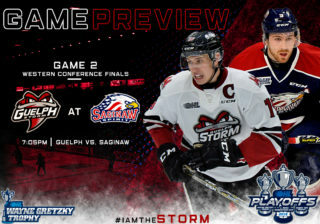 The Guelph Storm and Saginaw Spirit will take each other on for the 3rd time this season as both teams have wins in extra time from earlier this season. Guelph won 6-5 in OT back in September and Saginaw beat the Storm 5-4 in a shootout back in November. Both of these teams have stacked up since their last meeting by making multiple moves by the trade deadline. 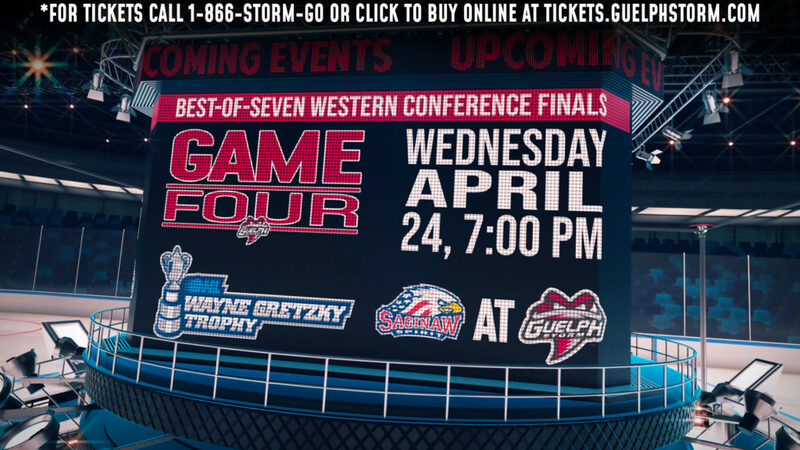 Saginaw is heading into the game in 3rd place in the Western Conference with 64 points and the Guelph Storm are in 4th place in the Western Conference with 59 points. Both will be fighting each other for a higher playoff seed heading into the final stretch of the regular season. Wednesday’s game will feature 19 players that have been drafted to NHL clubs. 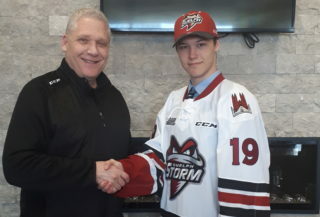 The Guelph Storm have 11 players that have been drafted to NHL teams including: C – Cam Hillis (MTL – 3rd Round), C – Nick Suzuki (VGK – 1st Round – Traded to MTL), RW – MacKenzie Entwistle (ARI – 3rd Round – Traded to CHI), RW – Alexey Toropchenko (STL – 4th Round), C – Liam Hawel (DAL – 4th Round), RW – Nate Schnarr (ARI – 3rd Round), LW – Isaac Ratcliffe (PHI – 2nd Round), D – Dmitri Samorukov (EDM – 3rd Round), D – Sean Durzi (TOR – 2nd Round – Traded to LA), D – Markus Phillips (LA – Round 4) and D – Fedor Gordeev (TOR – 5th Round). The Saginaw Spirit have 8 players that have been drafted that include: C – Brady Gilmour (DET – 7th Round), LW – Blade Jenkins (NYI – 5th Round), RW – Owen Tippett (FLA – 1st Round), C – Ryan McLeod (EDM – 2nd Round), C – Damien Giroux (MIN – 5th Round), D – Bode Wilde (NYI – 2nd Round), D – Reilly Webb (DET – 6th Round) and G – Ivan Prosvetov (ARI – 4th Round). The Guelph Storm will head to Ottawa take on the 67’s on Friday February 1st at 7:00pm, and then will take on the Frontenacs at 7:00pm on Saturday February 2nd in Kingston. The next home game for the Storm is Friday February 8th against the Sarnia Sting at the Sleeman Centre.